Who is satisfied with 4K? ThirtyIR is known for experimenting with games in ultra-high resolutions. The Rise of the Tomb Raider, GTA V, For Honor, and Battlefield 1 are just a few of the games that it has benchmarked and made comparison videos of in 1440p and higher resolutions. 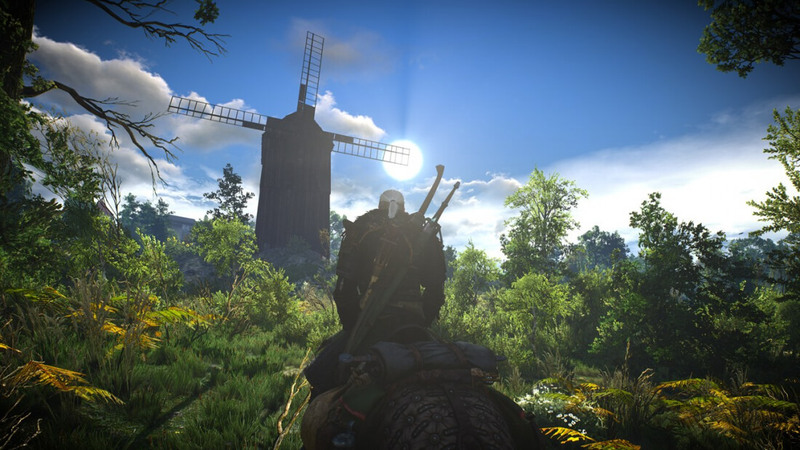 One of its latest experiments was to run The Witcher III in 8K. Now keep in mind, even though it is only two times the resolution of 4K, displaying something in 8K requires four times as many pixels. Aside from video display considerations, achieving an 8K run of the Witcher III or any other game is no simple task. Some serious horsepower is required to compute all those pixels. ThirtyIR ran the game in 8K with all the graphics settings maxed and was still able to achieve 60 frames per second. If your display (and your internet connection and your computer) is capable of it, you can view the video below in its full 4320p60 resolution, otherwise, view it in the max res that your equipment and monitor can handle. The feat is pretty impressive. The rig they used to run this demonstration uses four (yes, 4) Nvidia GTX Titan XP graphics cards. Of course, trying to run that much graphical power in an average machine would be like putting twin turbos on a Volkswagen Golf. The engine that drives $4,800 worth of graphical processing is an Intel Core i7-6950X CPU running at 4.3GHz, with 64GB of 3,200MHZ DDR4 memory, all mounted on an Asus Rampage V Extreme motherboard,” and displayed on a Dell UP3218K monitor. And that monster is just to run the game. ThirtyIR needed another powerhouse just to record the footage. The second unit ran on quad GTX 1080 Ti graphics cards with an i7-3970X overclocked to 4.8GHz, and 32GB of 2,133MHz DDR3 memory. So, if you have a spare $10,000-20,000 just lying around you too can run your games with this level of detail.